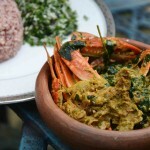 I have had crab in every which way possible; at the most outrageously priced crab specialty restaurants to the small hole-in-the-wall outlets known for their crab curry in Sri Lanka and elsewhere, but let me just say that I am yet to encounter a crab curry that tops the one my mother makes. I am not being biased here, I rarely am when it comes to food. 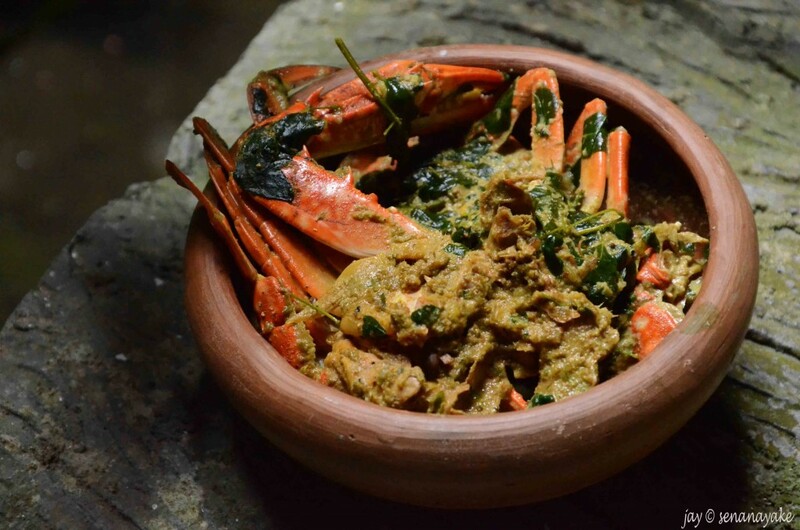 Which is why I am sharing the recipe for the Sri Lankan crab curry here. I just felt awful today at lunch that I am enjoying this beautiful delicacy all by myself when there are millions out there who are yet to know this transporting experience. Besides, why spend a small fortune on crab dishes at these fancy and not-so-fancy places (although Sri Lanka is surrounded by the ocean, crab does not come cheap) when you can make one a hundred times better to dig, in up to the elbows if you must, in the comfort of your own home? Both my parents are southern folk who grew up along the coast and hence, they do know their seafood exceptionally well. In my household, you would often find quite unusual (I call them unusual because friends and acquaintances have found the stuff shocking when to me they were the most normal food of all) dishes on the table along the lines of shark curry (yes go on and hammer me for eating endangered animals now), fish roe, stir fried manta ray, octopus, sea urchins and etc from time to time. My mother does an exceptional job out of them as well which obviously comes down from my grandmother and her mother before her. Things were apparently very different back then, fish were all the rage and not the oddities. In fact they tell me, crab, lobster and other shellfish were considered inferior seafood back in the day where they were rejected as poor man’s food because there was so much shell and not much flesh. Well look how well they have done for themselves so far! I digress. Yes, the crab recipe. Hopefully you could pull this off over the long weekend and treat yourself to something special. Not many out there are really, truly aware of how to make the Sri Lankan crab curry the way my mother does it. So here it is. Remove the tougher outermost shell of the crab and clean it. Cut each in two. from the middle. 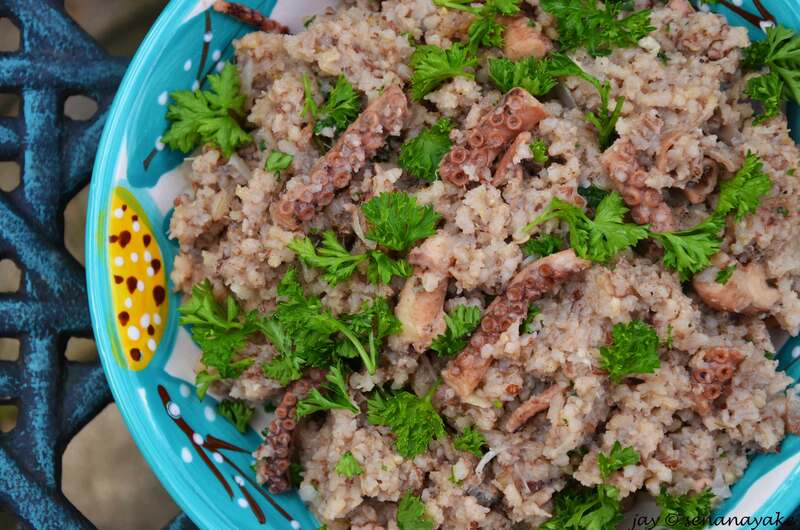 Place the crabs in a large vessel with all the ingredients up to the moringa leaves. Let simmer for about half an hour until the flavours have begun to come out. At this point, add the moringa leaves. Simmer for about 15 minutes more. Add the thick coconut milk. Simmer for about 10 minutes further or till the curry has reduced to your satisfaction and take it off the heat. 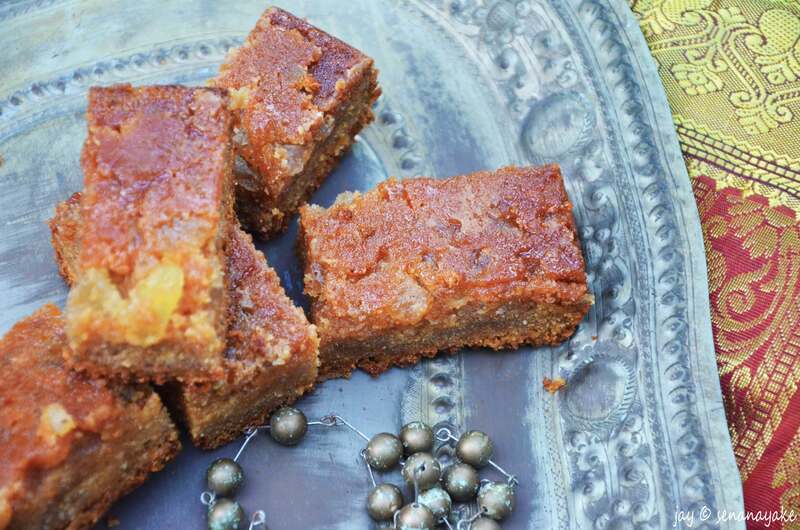 And yes, the brevity of the method is compensation for the length of the ingredients list. I could eat plates and plates of rice with just the curry alone and I am not even exaggerating as I am sitting here still very full from lunch. 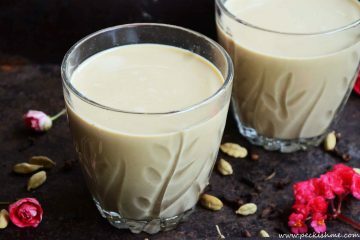 It is creamy and bursting with flavour and exquisitely light too at the same time that it feels wholesome. 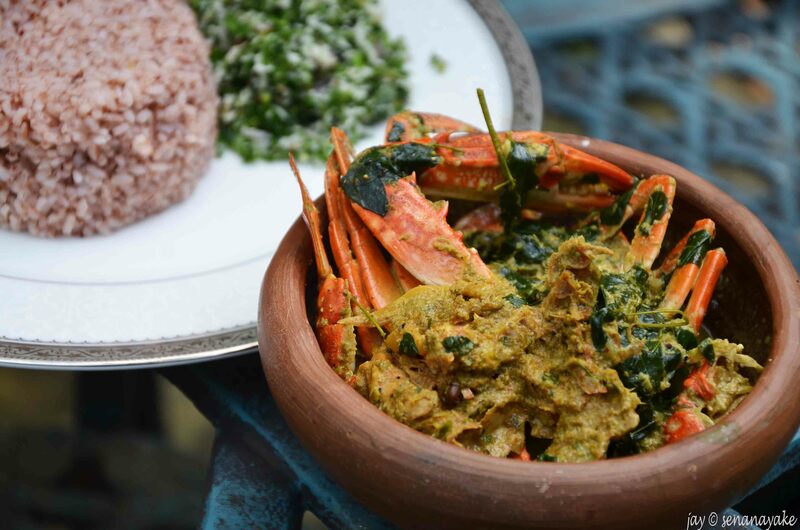 The moringa leaves add a whole new dimension to the curry lifting it up and above the crab, giving it a more refined, elegant quality, a wonderful leafy-ness that is refreshing. The wonderful thing about this recipe is the fact that all those ingredients bring out the true flavours of the crab while never even for a moment overpowering it. It’s such a beautiful thing really. I could write a song about it. Actually, quite a few songs. There is leftover curry from lunch and even though under other circumstances I wouldn’t even dream of dinner when I am so full, I am thinking of having some right now. 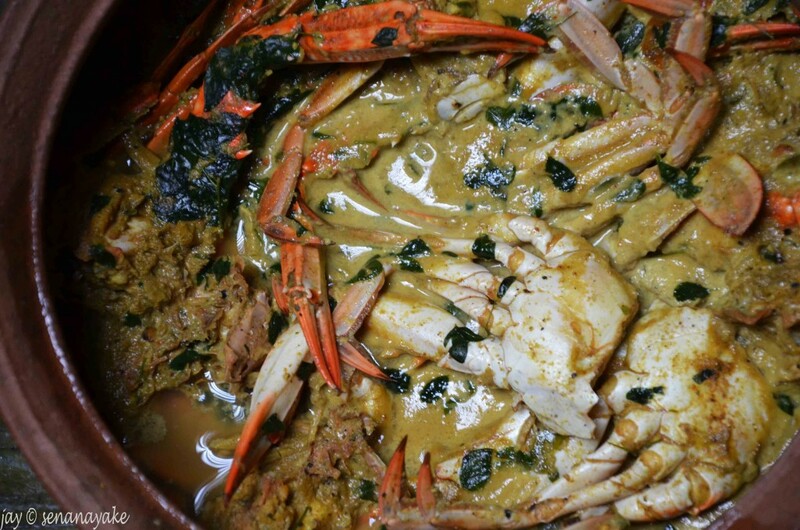 The norm is to get live crabs, drop them in hot water and make the curry from that as this, as I know from experience, yields the freshest and the firmest flesh and the best tasting curry. I know this is a cruel thing to do and even though in battles between the righteous-me and the foodie-me, the foodie-me often wins, in this case we have resorted to making sure that the crabs are not alive when we take them home. (I don’t know how that makes it right and I don’t care either, but it does seem like the right thing to do). Get small-medium crabs. They taste the best. 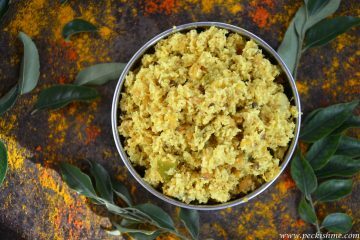 Curry powder is a mix of ground coriander seeds, cumin, fennel, black pepper, raw rice, mustard, tumeric, fenugreek, cardamom, clove, pandan leaves and curry leaves. 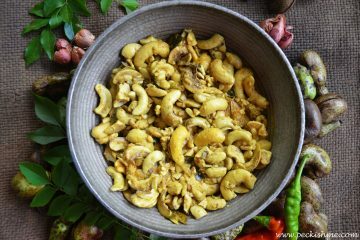 These are pan roasted and powdered and kept in jars in every Sri Lankan kitchen. We make our own although they are available freely in all supermarkets. I shall post the recipe for that on another day. Don’t forget the moringa leaves. Crab is a heaty food and the moringa leaves are said to take some of that heat away and cool the body, making the dish healthier. Moringa leaves are well known for their healing properties. 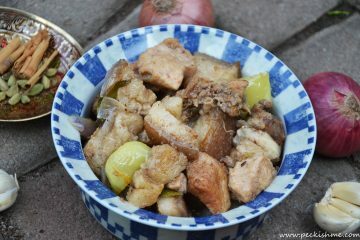 This can be had with rice, bread or anything that you like. Just make sure you use your fingers and take your time. The best part is in tearing through the shell and getting to the flesh. It’s just more rewarding that way. I just would not recommend crab without the shell. 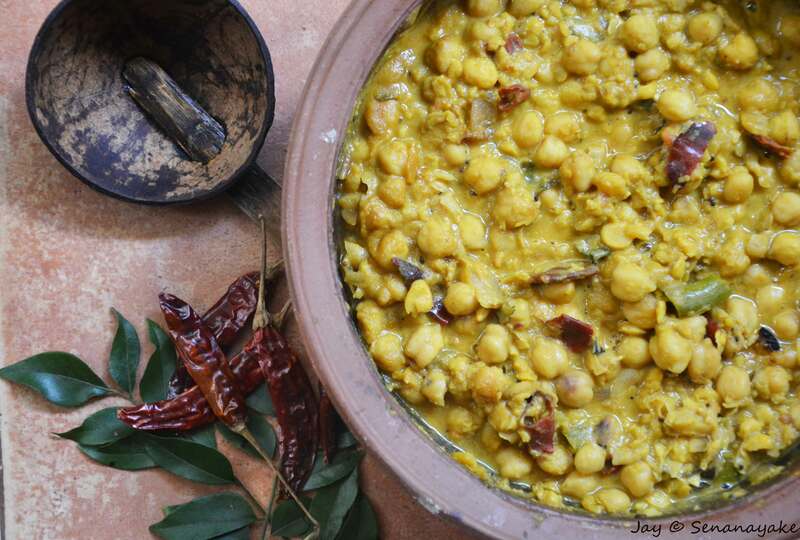 I feel that the shell in itself lends flavour, particularly to the curry.